Moody sixteen-year-old barista Devin Mulwray is doing his best to ignore bizarre manifestations at his job in the chilly Northern California town of Arcata. Already teased about his recurrent ‘phase-outs’, the last thing he needs is to get pegged as a guy who sees ghosts. It doesn’t help his state of mind that his boss is a sarcastic slacker, his single dad is always on the road with clients and local occult fan girl Nayra is spreading ‘ghost boy’ rumors about him online. 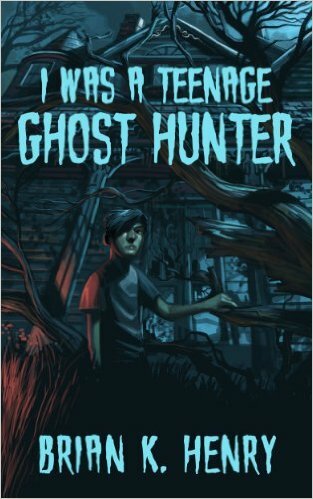 But when violent paranormal activity badly spooks teens at an abandoned estate, Devin’s pushed into investigating by his eccentric friends Clive, a budding composer, and Rex, a tech head excited by ghost hunting gadgetry. At first reluctant to get involved, Devin’s encouraged when Emily, one of the more empathetic girls at Grey Bluff High, is impressed with his daring. Together the friends explore the creepy Rousten manor. But as the only person able to perceive the manifestations, Devin soon finds himself going one-on-one against a powerful spirit who attacks the locals and infiltrates Devin’s own dreams. 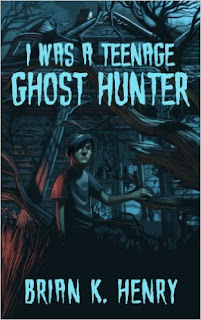 Devin must face his fear of confronting the spirit world and get to the bottom of the hauntings before the specter unleashes more havoc on him and his friends. I'm very appreciative for Mr. Henry allowing me to review this book. In my opinion, the story line is both enjoyable & entertaining. Everything seemed to flow smoothly. Each character is written well & I found it simple to follow each one through the story. The only real issue I had with this book is that the first chapter seemed a bit too wordy for me. Also, some of the words throughout seemed too difficult. Especially since the target audience is 13 and up. I mean, there were quite a few words that I had no clue what they meant. More than I am comfortable with. Despite my issues with the difficult words, I still found the book to be interesting. The suspense & mystery kept me intrigued. I pushed through the tough words because I had to know what was going to happen next. I would recommend this read to anyone interested in a supernatural aimed for those in their teens and older.